For non-native speakers of English: blinkers are equipment that stops horses from seeing behind and to the side. This month the OECD hosted a public consultation on Transfer Pricing, a first opportunity to evaluate its widely watched project to reform international rules for taxing multinational corporations. The overall project, for which the OECD has coined the bland phrase `base erosion and profit shifting’ (BEPS,) is the fruit of a request from G20 world leaders in July 2012 to work out ways of dealing with the problems of taxing transnational corporations. A year later, its tax experts presented an Action Plan, which aims to produce proposals between now and December 2015. The recent public consultation, on 12th-13th November, was a depressing event for us, dominated by special pleading by corporate tax advisers. Anyone who doubts this can check out the video. Amid all the noise about the BEPS project, however, it is worth bearing in mind that the OECD, a club of rich countries, is not the only show in town. The United Nations Tax Committee at its annual meeting last month decided to set up a subcommittee on BEPS, which will feed the views of developing countries in to the OECD project, and also consider other approaches to the problem that may be more appropriate for those countries. The International Monetary Fund last June approved an expanded research programme for its Tax Policy Division, which includes consideration of new approaches, such as unitary taxation. This is also the focus of a research programme of the International Centre for Tax and Development, based at the Institute for Development Studies. "International tax rules, which date back to the 1920’s, have not kept pace with the changing business environment, including the growing importance of intangibles and the digital economy." "The existing international tax rules on tax treaties, permanent establishment, and transfer pricing will be examined to ensure that profits are taxed where economic activities occur and value is created." So the OECD’s project can and should be judged by whether its proposals actually achieve this outcome. TJN and other civil society organizations concerned with tax justice have sponsored a BEPS Monitoring Group of tax experts, who will produce reports both commenting on OECD proposals and exploring other options and approaches. The OECD’s work is being done by national tax officials through the OECD’s Committee on Fiscal Affairs and its Working Parties. These Working Parties are responsible – working in close consultation with business tax advisers – for having developed the present rules which can now clearly be seen to be dysfunctional. We may doubt whether they can generate the `out of the box’ thinking which the OECD’s own interim report on BEPS in February 2013 said was needed. Many tax advisers are former national and OECD officials, which creates a cosy club culture. A handful of civil society representatives attended the public consultation on November 12th and 13th, which was a novelty for all concerned. It was hard not to feel like gatecrashers at a private party. We managed to have our say, but this club has spent years crafting the current rules, and they are naturally reluctant to rethink them. The non-OECD states from the G20 are now participating, nominally on an equal basis. Yet even the larger developing countries do not have the resources to make a major input into the dozens of meetings which are already planned. China, India and South Africa each sent only one expert to the consultation and for the 2-week meeting of Working Party 6 which followed; Brazil had only a diplomat from the embassy with a watching brief, while the main OECD countries sent four or five specialists each. Overwhelmingly the participation was of corporate tax advisers, mainly from the accounting and law firms, who earn large sums from the complexities of the current system and the encouragement it provides for tax avoidance. Unsurprisingly, their contributions aimed mainly at trying to continue business as usual. The in-house corporate tax advisers were more realistic and astute, but also cautious. The large firms for which they work spend large sums on tax `planning’: more than they actually pay in tax in many countries. They understand the faults with the present system but are unlikely to argue for changes which would mean that their firms might pay more tax, and many of them would lose their jobs. Turkeys, after all, don’t usually vote for Christmas. Here is an example that illustrates how reform might go awry. The OECD decided ten years ago that a website should not be treated as giving a company a taxable presence in a country. This was based on the old tax treaty concept of the `Permanent Establishment’ (PE), which assumes that a physical presence is needed to do business in a country. This 20th century concept is no longer appropriate for the digital economy, and has allowed dozens of internet companies to attribute large profits to sales affiliates in low-tax countries. The G20 asked the OECD to `develop changes to the definition of the permanent establishment’ to deal with this. But so far the work seems limited to `artificial avoidance of the PE status’. On October 22nd the OECD asked for comments on this, allowing only three weeks for responses. It should be clear that such timid steps are inadequate to deal with the challenges to international tax rules posed by the digital economy. Although the very first point in the OECD’s Action Plan concerns this issue – it aims only to study it and produce a report. Real reforms, via the OECD’s planned route, will be hard. On this particular issue, the United States, which is home to many of those internet companies in question, has very different views than others such as France or India about how taxing rights should be allocated between countries in the global digital economy. So the OECD is unlikely to reach a clear consensus. But unless the OECD comes up with effective solutions, many states will adopt their own measures. The EU is also getting into this act, and the European Commission is setting up an Expert Group on the Digital Economy which will also report, at much the same time as the OECD does. 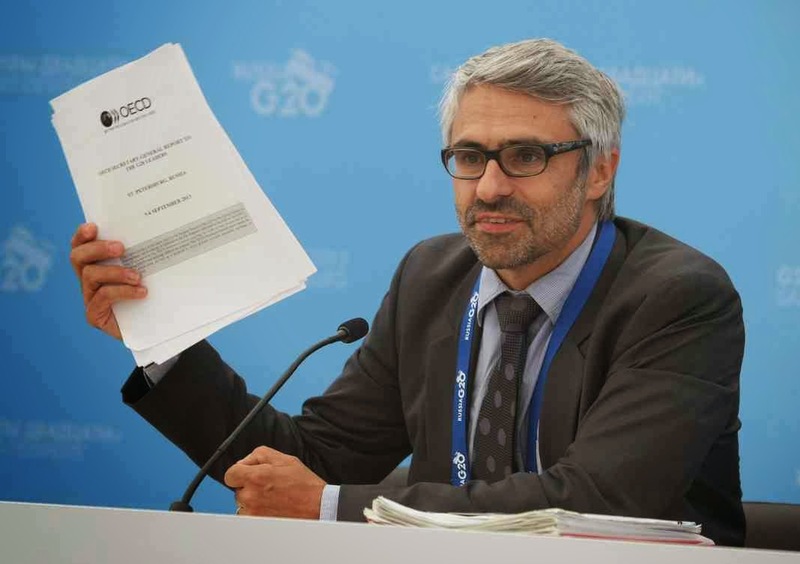 Perhaps the most important mandate from the G20 is to develop `a common template for companies to report to tax administrations on their worldwide allocation of profits and tax’. Country-by-country reporting has of course been a long-standing demand of the tax justice movement, not only for tax purposes. Its acceptance by the G20 has the potential to transform the taxation of TNCs. It could for the first time enable tax authorities to check on avoidance, by giving them a picture of the firm as a whole, and data on its employees, physical assets and taxes paid and due in each country. A submission written by Richard Murphy for the BEPS Monitoring Group outlines our position, and Richard presented it at the consultation. The tax advisers at the OECD consultation, of course, tried to restrict the scope of information that could be supplied, with the usual pleas that it would cost too much to collect and compile, or it could breach commercial confidentiality. Apparently, even data on employee numbers are sensitive! Yet even such minimal information they thought should be confidential, except to tax authorities. Indeed, many argued that it should be supplied only to the TNC’s home country tax authority, and shared with others only subject to safeguards. This ignores the simple fact that any country can legislate to require reporting of this type of information. Also, once such a report is delivered to any tax authority others can request it if they are parties to the Multilateral Convention on Administrative Assistance in Tax Matters, which is now open to all, and which the OECD is encouraging states to join. Most time at the Consultation was taken on transfer pricing of intangibles: mainly intellectual property rights. This has always been the most difficult area, since many tax avoidance strategies involve transferring notional ownership of such rights to affiliates in low-tax countries. We think the OECD’s entire Transfer Pricing Guidelines should be reconsidered from top to bottom - especially the chapter on Intangibles - in the light of BEPS. The Guidelines have been revised bit by bit over the years, and are now just a hodge-podge, providing no clear guidance at all. They are like a biblical text: support can be found in them for widely different and even opposing viewpoints. They are especially incoherent because the OECD has refused to face up to the central contradiction in the international tax rules. The model tax treaty articles devised in 1928, and still little changed, were designed for an era of international lending, assuming that an investor in one country would be lending to a business in another. This principle was adapted for transnational corporations (TNCs) by saying they should be treated for tax purposes as if their affiliates in each country were separate and independent entities, dealing at `arm’s length’ with each other. In reality of course TNCs are centrally directed and globally integrated firms, rather than collections of loosely connected separate entities. This separate entity/arm’s length principle at the heart of OECD transfer pricing rules allows, and indeed encourages, TNCs to set up entities in no or low-tax countries to avoid tax. When the OECD adopted the Transfer Pricing Guidelines over 30 years ago they tried to apply the arm’s length principle by saying that the accounts of related entities within a TNC group should be adjusted by pricing transactions between them on the basis of `comparables’. In economic reality, however, such firms exist because of the benefits and synergy resulting from integration, frequently because they can develop unique intangibles by spreading the costs and exploiting global markets. So tax authorities in the real world can rarely find true comparables for the goods or services transferred within an integrated firm. Historically, tax authorities dealt with this by using comparable profit methods, adding a mark-up to production costs or applying a margin on sales by reference to similar local firms. But since this involves combining the profits of related firms and apportioning them out to the relevant jurisdictions where they do business, according to genuine economic substance – it is in effect a unitary approach! But the OECD will not acknowledge this, instead preferring to use weasel words and phrases to wriggle out of ever conceding that there might be something to unitary taxation. The OECD treats these methods as compatible with its Arm’s Length method, and confusingly describes them as `transactional profit methods’. They are considered to be different from `formulary apportionment’, which is firmly rejected by the Guidelines, but is narrowly defined as apportionment by a `formula fixed in advance’. The revised draft on Intangibles discussed at the consultation would inevitably lead to greater use of the profit split method. But as the submission by our BEPS Monitoring Group points out, it fails to make that clear and uses ambiguous and contradictory language. In our view, the profit split method should be put on a sounder basis, with clearer guidance on how to aggregate or consolidate the profits, and the choice of allocation keys. There was a clear reluctance at the consultation to accept such rethinking. The more likely outcome will be the addition of a possible alternative approach for use in `special circumstances’, which would probably be narrowly defined. The BEPS Action Plan even hinted that this may entail using methods outside the arm’s length principle. We wait to see what may come of this. Our concern is that adding yet another method would only sow further confusion and potential conflict. Much better would be a rewrite of the Guidelines to remove the double-talk about the arm’s length principle, and accept that it is possible and desirable to build on the profit split method to move towards a unitary approach to taxation of TNCs. Update 2014: for recent news on corporate tax see here.